Thank you so much Bradsworth Tree Services for cleaning and pruning our trees! We will be able to enjoy them for many years to come. Ryan and the team at Bradsworth Trees did an amazing job at our place removing a large tree in a confined space. Extremely professional service, highly recommend them ?? A big thank you to Ryan for the amazing work that you have done on the family home. I have got two very happy parents ? Big thank you to Bradsworth Tree Services for coming to our aid at short notice.. Very impressed with how quickly the guys got to our house, the info they gave and then how quickly they were able to take our tree and leave our front yard clean.. Thanks again guys.. I highly recommend them for your tree needs! 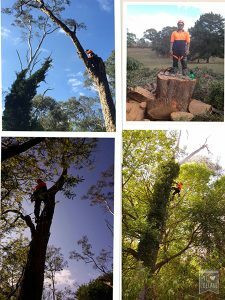 A big thank you to Ryan and the guys from Bradsworth Tree Services for taking out 3 annoying trees from my yard today.. Am very happy with the work done.. Extremely professional and courteous service and will be singing your praises to anyone who’ll listen.. Thanks again guys, I will definitely use you again if I need trees sorted out.. Nikki.